Tyga is spotted with a Kylie Jenner tattoo. 17. Tyga is spotted with a Kylie Jenner tattoo. 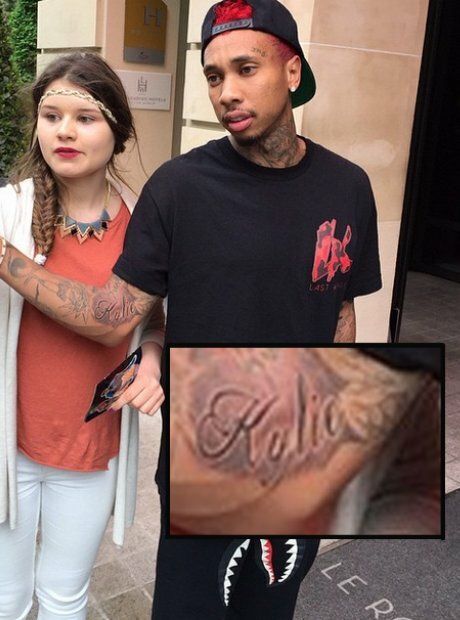 Tyga was seen with a new tattoo that said "Kylie" while taking pictures with fans.